So how is your week going? Mine started with the wonderful blessing of a dear friend making it smoothly through his second open heart surgery in the last three months. God is so good and like the card says, He is always with us. 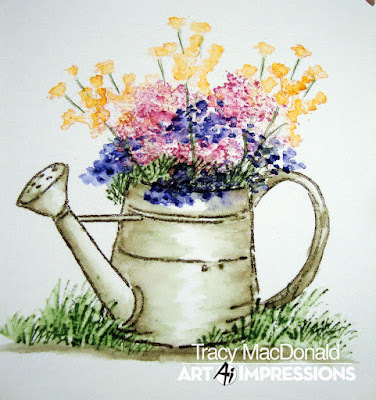 For todays card I have used some more of the wonderful watercolor stamps from Art Impressions to create a watering can bouquet. Thought I would link this up for the Word Art Wednesday challenge. Hope the rest of your week is filled with blessings. 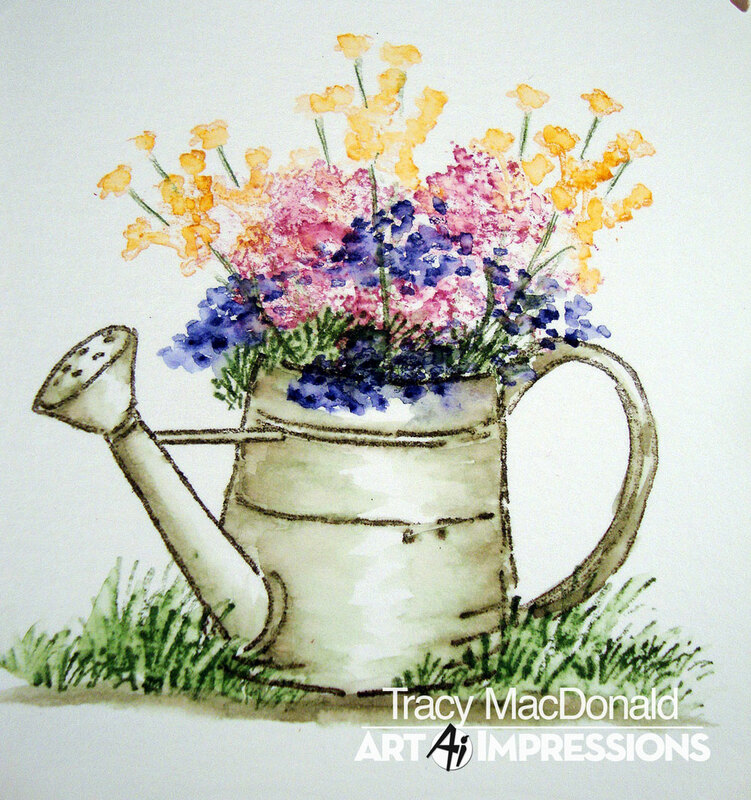 Stamps--Art Impressions "Watering Can", "Flowers Set", and "Foliage Set 1", sentiment from Simon Says Stamp "Blessed"
So beautiful and serene. Great news about your friend. What a fun and sweet card this is! Oh, I'm so happy for your friend! That is wonderful news, indeed! And what a sweet card! I love the neutral background and the pretty die cut frame, and your water coloring is just amazing! 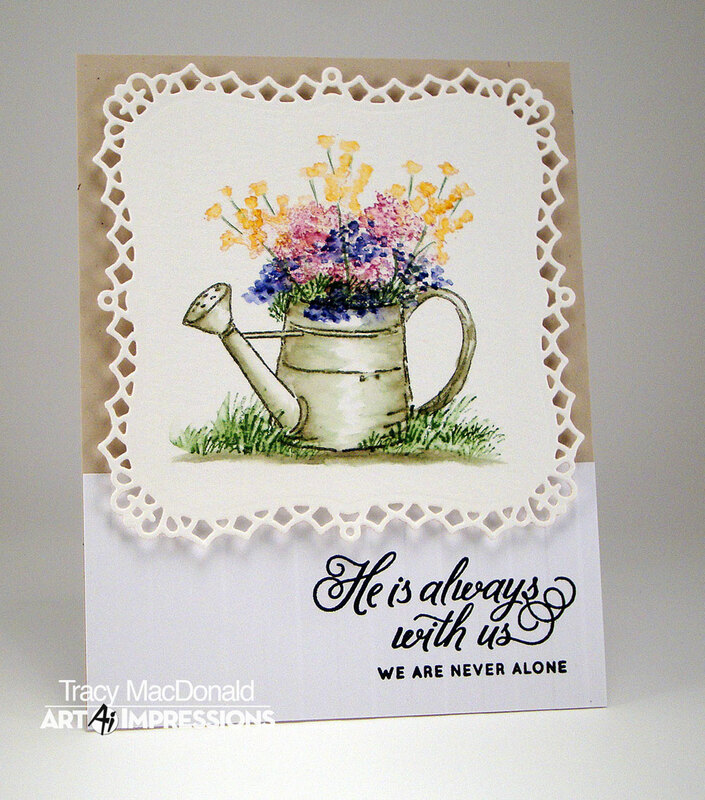 I saw your link on WAW and wanted to pop over and say how beautiful your watering can card is! 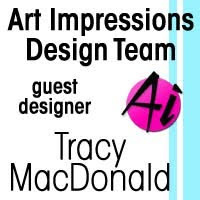 Forget to mention that I'm so glad you've joined us at Word Art Wednesday!! Hugs! Wonderful news abut your friend! He's going to love this beautiful card Tracy .. I do! This is a beautiful card to send to your friend, it will help them through their difficult time. Gorgeous water-colouring. What a beautiful card! The frame and image are wonderful - such a pretty watercoloring. So glad your friend came through his surgery. Have a great week! You got such lovely results with your AI stamps and watercolor technique. Very beautiful!